Neal’s had legendary “runs” on Batman, X-Men, Green Lantern – Green Arrow and Deadman. Adams rescued Batman from his campy TV show, and transformed him into his present “Avenger of the Night.” When people say “modern Batman,” they mean Neal Adams’ Batman. His run directly led to the realistic incarnation seen in “Batman Returns”, and the “Dark Knight” movies. He godfathered a generation of new talent, brought down the comics code by introducing “relevant comics” and gave America its first black comic book superhero. While fighting for creator’s rights, he convinced publishers to return original art to its creators, improved standards of comic book production, forced publishers to pay royalties… and crusaded against work-made-for-hire in the copyright law. 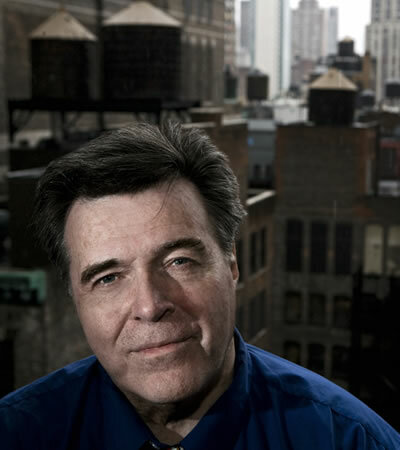 In addition, Neal has launched a successful production company – Continuity Studios – which produced the popular Nasonex Bee Campaign and introduced us to the concept of Motion Comics. 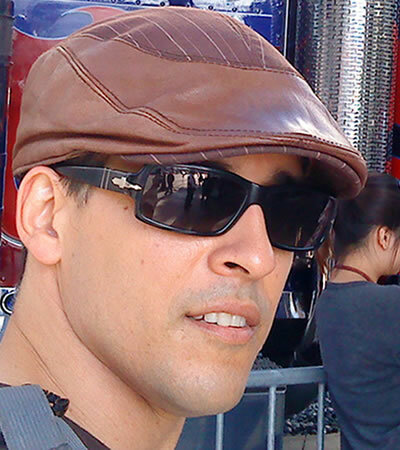 He designed the popular Terminator, T2-4-D ride, and the Spiderman Rides at Universal Studios. While setting-up his own characters with various Hollywood Studios and Produces, Neal is currently writing and drawing “Batman Odyssey”, for DC, a 12 issue series, and writing and drawing a 5 issue series of Wolverine for Marvel. 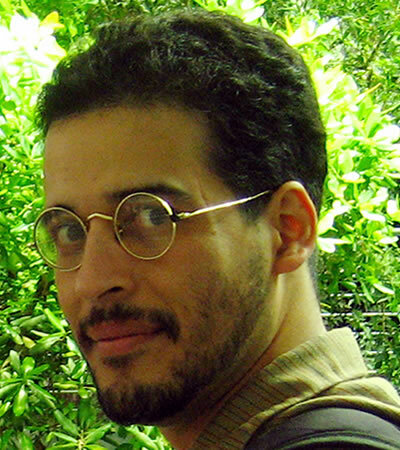 Jimmy Betancourt has been lettering comics for the award-winning studio Comicraft for 12 years, proudly serving as part of Comicraft founder Richard Starkings’ revolutionary army of fontmeisters and designers. When not showing off his skills as “fastest letterer in the west” or watching the Lakers game he’s enjoying his time with his daughter Delaila in their home sweet home of Los Angeles. 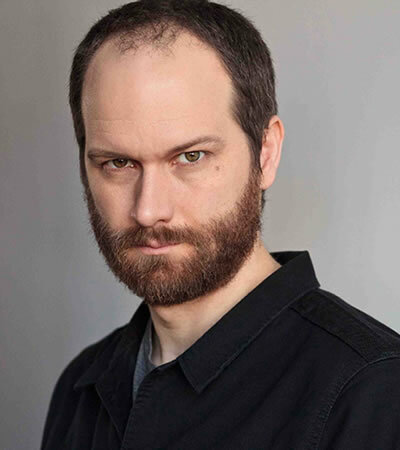 R. Emery Bright, writer, actor and producer, has created pilot projects for television and written, produced and starred in short and feature length films. 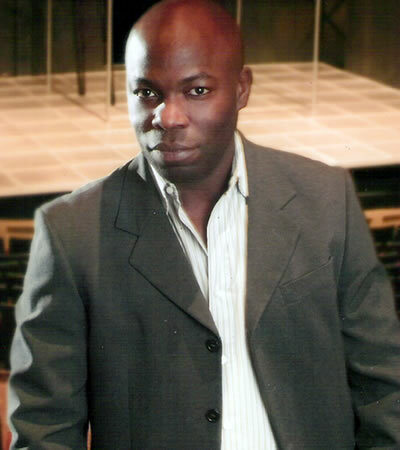 Emery has made notable guest star and recurring roles in television favorites, The Wire, Dark Angel, Angel, The Practice and Law & Order, among others. 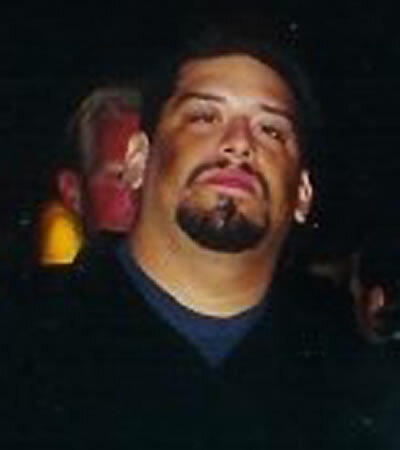 Emery’s film work includes Deep Impact, and Arizona Seaside. 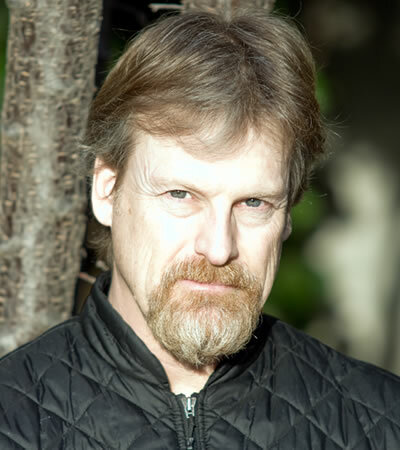 He has performed in numerous theater productions, notably Othello with Patrick Stewart, Garland Wright’s last production of The Tempest, Talk Radio, SubUrbia, among others. Originally from Liberia in West Africa, Emery currently lives in Washington D.C. with his wife Lisa, their son, Julian, and dog Maggie. 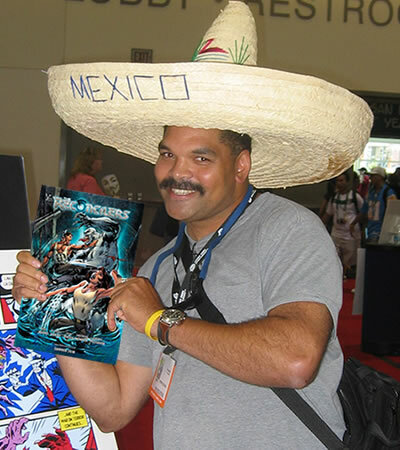 Shepherd Hendrix, an award-winning artist, started his comics career in 1991 as an inker, working on such projects as Bernie Wrightson’s Captain Sternn and Swamp Thing with Tom Yeates before moving on to other creative roles such as storyboard artist for video games (Lord of the Rings: The Third Age, The Godfather – EA Games) and television, as well as background design for animation (Extreme Ghostbusters, Men in Black – Sony Animation). Recently, Shepherd has made a comeback to comics with the Eisner nominated and Glyph Award winning Stagger Lee and The Complete Idiot’s Guide to U.S. History. Erik Jensen is an actor, writer, and director. He starred in the FOX telefilm Virtuality (by Battlestar Galactica creator Ron Moore; directed by Peter Berg) and as NY Yankee Thurman Munson (opposite John Turturro) in the miniseries The Bronx is Burning. Film credits include Black Knight, The Love Letter, and Sisterhood of the Traveling Pants 2; he has appeared on TV in CSI, Damages, Alias, The Good Wife, Rescue Me, Century City, Love Monkey, The Dark, New Amsterdam, Law and Order, Deadline and Gravity among many others. He’s appeared Off-Broadway at the Public Theater, MTC MCC, Naked Angels, and as Lenny Bruce at the Wilma Theater. With wife Jessica Blank, Erik co-authored the play The Exonerated (Lortel, Outer Critics Circle, Drama Desk, Fringe First, Herald Angel Awards, and award from the NACDL, the American Bar Association, and Amnesty International). Erik and Jessica adapted the film version for Court TV, which starred Danny Glover, Susan Sarandon, Aidan Quinn, and Delroy Lindo. Erik and Jessica also co-authored the hit play Aftermath and the book “Living Justice” (Simon and Schuster, 2005), and co-adapted Jessica’s novel “Almost Home” into a film for Jon Bon Jovi’s production company (slated for 2010). Jens Pil Pilegaard is an award winning filmmaker and screenwriter who spent the better part of the last decade writing and directing independent films and selling and optioning screenplays to Hollywood. He is a member of the writers guild of America. In 2009 his first feature film “Arizona Seaside”, was released to critical acclaim and won several awards, including best feature film , and best cinematography. When Pil is not working on his next project, he can be found pursing his other passions, photography, animal rights and mixed martial arts. Alan Quiros holds degrees in both product design and figurative painting, His wide range of projects include toy prototypes, game art, architectural models, and levitating furniture. His concept art and illustration is at: www.alanquiros.com. 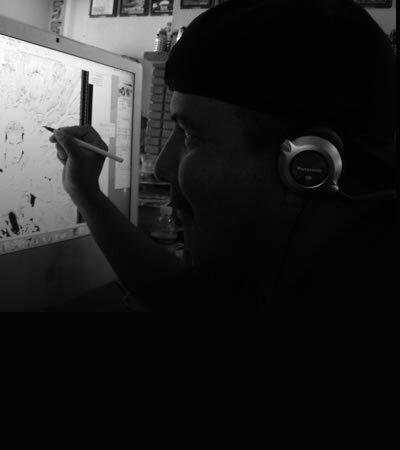 Norm Quiros is an Artist and Illustrator who includes Gentle Giant Studios, Lucas Arts, THX, Eyestorm Productions, Prologue Films, and FOX among his clients. He has worked on a variety of projects in multiple fields. Check out his work at www.normquiros.com. Erol Hasan Yundem was born in the far away lands of the frozen north. Stories of his birth say the event was heralded by three days of lightning storms, tornadoes, earthquakes, and chickens laying addled eggs. Erol made up most of these stories. His interests include badminton, archery, the Enlightenment and gin. He attended the George Washington University Law School, and was thus doomed to become a lawyer. Erol lives in Washington, DC with his wife Carol who is responsible for keeping him mostly honest. A lifelong comics fan, Erol worked as a writer and editor before going to law school. Originally from Chicago, Illinois. Bon attended Ray College of Design where he majored in Illustration. 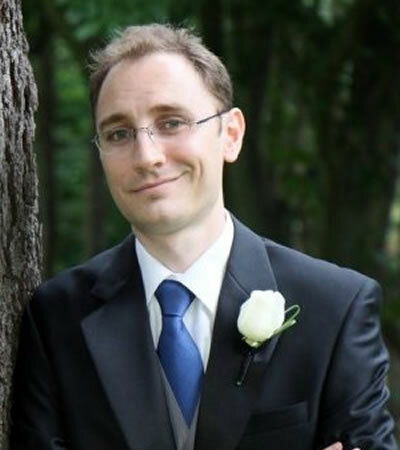 An avid comic book fan since his childhood, Bob has been on a tear since he began coloring in 2005, working on books for Marvel, Image, Devil’s Due Publishing, IDW, Markosia, and Moonstone Books. Bob currently lives in Houston, TX. 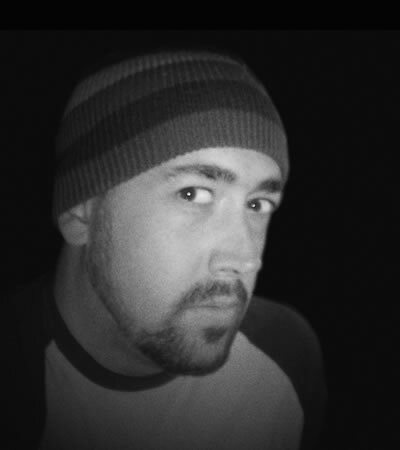 Mark is an artist and freelance comic colorist who has worked with several companies including Zenescope, Moonstone, and UK based dare Comics on titles like The Waking, Grimm Fairy Tales, The Phantom, and Starmaker: Leviathan. Mark graduated from the Savannah College of Art and Design and has been a student of the arts his entire life with a particular passion for comics and sequential art. Mark currently resides in San Jose, CA.